Bali gold loose leaf is a nice relaxing and euphoric strain that allows you to relax at the end of the day but still able to focus and get things done. Great for musicians and other creative types to get in the zone. Thanks Krabot! Bali Gold is the Best! I love this crushed leaf for a powerfully relaxing tea! I’ll be very happy when there is more of this crushed leaf available! It is my favorite. I got my Bali Gold in yesterday and I made up some tea. I have not had red vein in awhile but I could tell this was very high quality. Relaxing and euphoric and it lasted awhile too. Next payday I plan to re order. 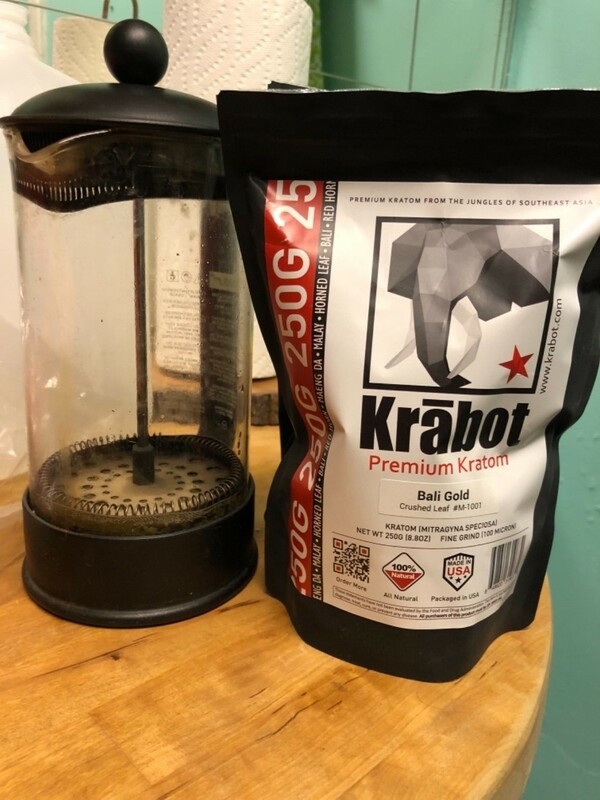 Thank you KraBot for high quality kratom at a very good price! I thought I lost my tolerance before i switched to Krabot I was getting terrible product. Now its like my first time, everyday!!! I use two tablespoons loose leaf, and brew it twice, and the third time I boil it to get any remaining alkaloids.